Happy New Year! For our final Christmas post - and to properly usher in the new year - we wanted to share one of our favorite handmade gifts of 2011. 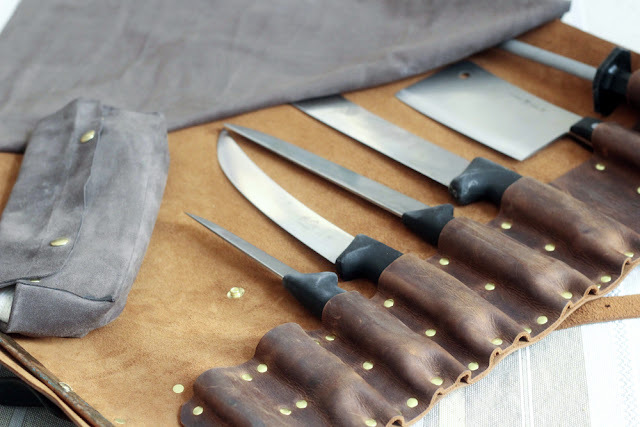 Since receiving his first set of knives on the first day of his apprenticeship at Fleisher’s, Jake has been asking Silka to sew him a knife roll. The project was a little too intimidating for Silka to tackle herself, but with traveling to and from so many demos lately it's become obvious that Jake really did need something durable and stylish to carry his tools - and this Christmas was the perfect opportunity. 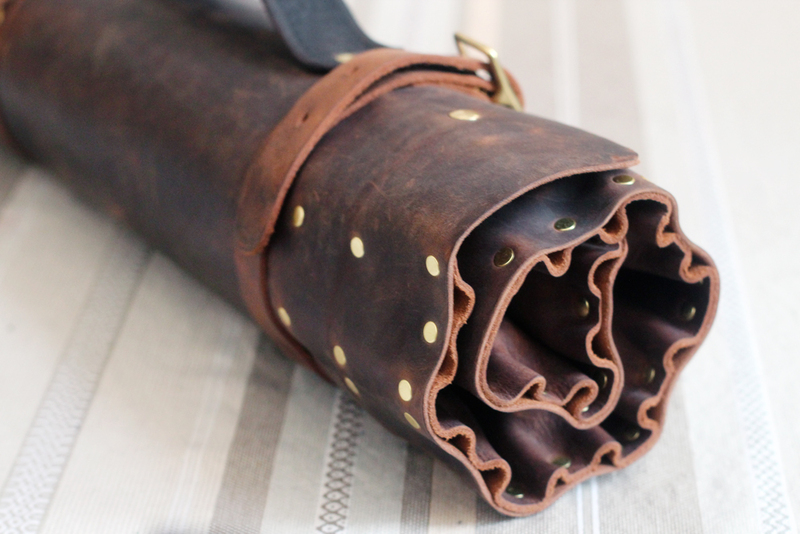 After a little research Silka came across Steve Goodson, a master leather worker living in Texas who specializes in custom knife rolls. He was such a pleasure to work with and in just a few weeks of anticipation a true work of art arrived at our doorstep. Now as we enter another year of demos and events, Jake can proudly carry his knives in his new roll - and we're sure the next year of wear and tear will only enhance it's beauty! Thanks, Steve! Yes I agree with you in this regard that the leather knife rolls are very helpful when we are out for long tour. 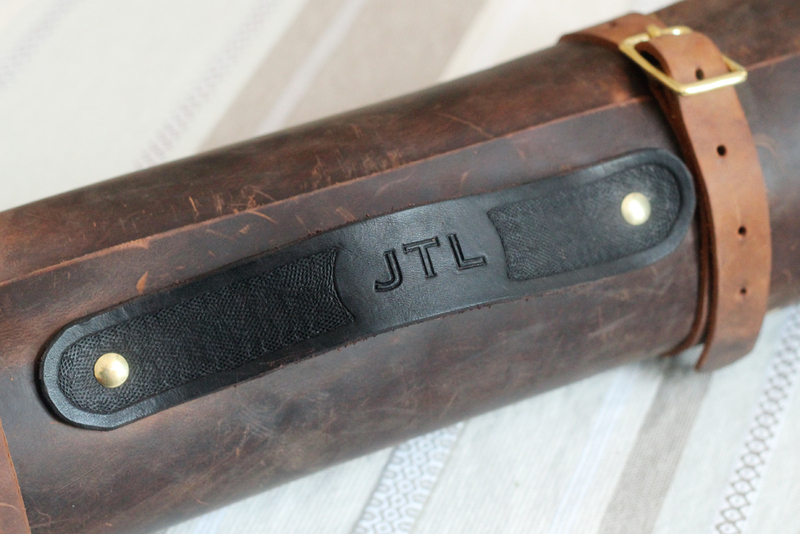 Since the knife roll are made using leather therefore these last for many years without getting fade or damage.